As the modern-day horsepower wars rage on, you now have 640 reasons to wear a bowtie thanks to the 2017 Chevrolet Camaro ZL1. 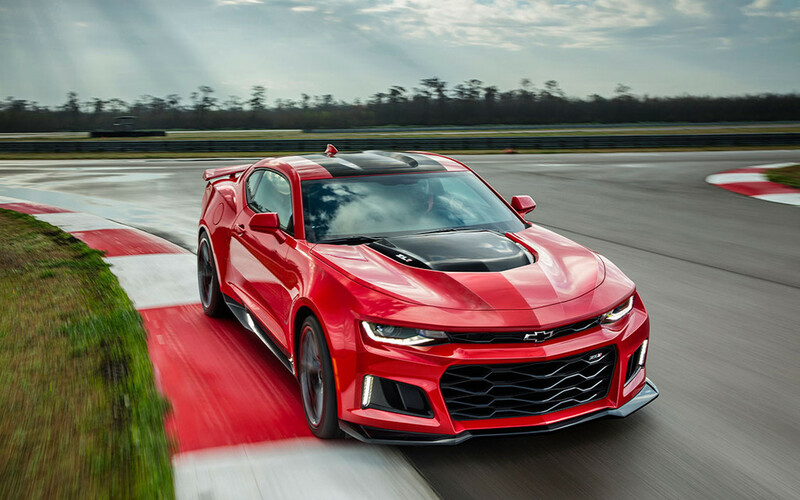 Powered by the same 6.2-litre supercharged V8 as the one found under the hood of the Cadillac CTS-V, the Camaro ZL1 makes the same 640 horsepower as the CTS-V and 640 lb.-ft. of torque, which is 10 more than the CTS-V thanks to intake and exhaust systems that were specifically tuned for the car. It also makes 60 more horsepower and 80 more lb.-ft. of torque than the previous ZL1 sold from 2012 to 2015. Chevrolet didn't provide performance numbers, but for a bit of perspective, the CTS-V runs from 0 to 100 km/h in about 3.8 seconds on its way to a top speed of 322 km/h. A six-speed manual transmission with rev matching is standard, while an all-new 10-speed automatic that was jointly developed with Ford can be added to the new Camaro ZL1. Elsewhere it features GM's Magnetic Ride suspension, an electronic limited-slip differential, Brembo brakes with six-piston calipers up front, Recaro front seats, and a suede flat-bottom steering wheel and shift knob. If the Camaro ZL1 is a little too much car for you, Chevy is also bringing back the 1LE packages to the sixth-gen Camaro later this year.